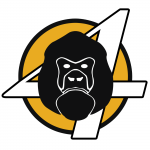 Episode #14 is full of comic book goodness with movie chat, new character design critiques, and comic book reviews. Neil and Matt start off the episode questioning the new design of DC Comics’ Lobo. Matt is especially concerned about this new look while Neil is at least willing to give it a shot. We then go to an in depth review of one of Matt’s favorite recent issues of Guardians of the Galaxy #5. This issue by Bendis, Pichelli, and Ponsor is full of so many great twists, turns, and new developments. 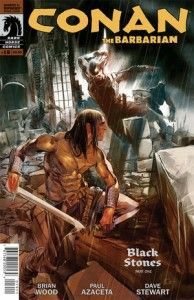 Neil chooses to once again prop up one of his favorite titles Dark Horse Comics’ Conan written by Brian Wood. Find out why this somewhat different take on Conan is a must read. Finally, Matt and Neil talk comic book related movies and of course the Ben Affleck cast as Batman news. Also mentioned is the choice of actor for the Scarlet Witch in the Avenger’s Sequel as well as Bradley Cooper potentially voicing our favorite Guardians of the Galaxy character Rocket Raccoon. Thanks for listening! News (3:40) Matt and Neil chat about DC Comics’ new character design for Lobo. 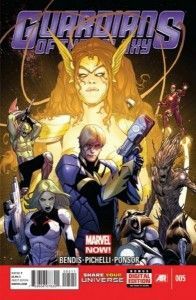 Reviews (13:05) Matt and Neil discuss Guardians of the Galaxy #5 in-depth. Followed up by a discussion on Dark Horse Comics’ Conan. Special Feature (37:52) Movie Chat! Ben Affleck is Batman? Who’s playing the Scarlet Witch? Bradley Cooper is voicing Rocket Raccoon?